There are a lot of amazing places in this world. And now more than ever we have easy access to these beautiful places. Instagram shows us the photos, Pinterest helps us plan our itineraries, and budget airlines make it cheap to travel. But in most cases, the real magic happens when you’re actually experiencing a place. It’s the combination of the people, the food, the sounds, and the weather that make us fall in love with a destination. These are the times that feed our wanderlust, that keep us coming back for more. So I hit up the most adventurous and well-traveled ladies I could think of to get the lowdown on the best spots around the globe. They’ve been everywhere. They’ve seen everything. Let’s find out where the beat places are according to the experts! Berlin, Germany — over and over, and then over again. It’s become a second home and sort of “soul place” to me since I first visited over ten years ago and ended up studying there at university. Being there is always a breath of fresh air — to have somewhere familiar where I can really feel like myself. From all of the fascinating history and how it melds with modern life to the whimsy of the peculiar Berliners who live there, to the endless amount of festivals and fun places to visit (and the greatest food to eat! ), Berlin will keep me coming back for the rest of my life. I’m a big fan of Scandinavia and even though I live in Norway and have travelled as far as Greenland, my favourite place to travel to has got to be Copenhagen! It’s my favourite city in Scandinavia and I could visit it over and over again without ever getting bored. Copenhagen is just so energetic, yet laid-back, and the perfect combination of city life and nature. The ocean is just a stone’s throw away and there are so many gorgeous parks and lakes in the greater area too, which just makes it a place that has everything! My favorite place to travel to is Italy. Although we briefly knew each other in the US, my partner and I had our first date in Italy and we’ve gone back every year. Although I’ve been to most of the big cities, there’s so much more in the way of beautiful architecture, incredible landscapes, history, culture, and food/wine. I’ll need many more trips to Italy to fully experience it as each region is so distinct and rich. I especially love the more remote regions where it’s possible to visit vineyards, hike in the mountains, and relax in beautiful small towns. Tajikistan impressed me with its amazing mountain views, welcoming locals, and fascinating history, but what really made my trip there so special was how wrong I had been about the country before visiting. When I first planned my 3-month trip through Central Asia, I actually hadn’t even included Tajikistan in my itinerary because I had heard that it wasn’t safe. But after meeting other travelers in the region who told me how amazing the country was I decided to change my plans and include a week there, and I’m so glad I did! From the sweet Pamiri family I stayed with on the Pamir Highway, to the afternoon I spent at the border market between Tajikistan and Afghanistan, to the truck drivers that gave me 18-hour lift between Khorog and Dushanbe, my time in Tajikistan was unforgettable. I’m so glad I didn’t let Western media scare me away from the country, and I hope to go back again and again. Without a doubt, my favourite place is is Moraine Lake, Alberta. Like Lake Louise, which is just up the road, Moraine Lake is featured on so many “x must see places in Canada” or on the front of guide books, but pictures do not do it justice. The brilliant blue water looks like photoshop in real life and the lake has a tranquil feel to it, even when it’s busy. My favourite memory from my trip to Canada was my boyfriend and I sitting on a huge log on the shore, feeling the warmth of the autumn sun, trying to take in the colour of this lake and feeling like we were the only people there. Obviously we weren’t, there were people hiking, taking photos, and canoeing, but it felt so serene like everyone was experiencing Moraine Lake in their own little peaceful bubbles. Ireland was the first country I visited, and over 40 countries later it’s still my favourite and one I know I will always love re-visiting. The country it self is beautiful; rolling green hills, wild flowers, fairytale castles and stunning ocean views. It has a fascinating history with thousands of years of history, and of course with that hundreds of unique and interesting legends. The countryside is beautiful and the cities are tons of fun. Dublin is the biggest and busiest, but if you head over to the west coast you will find plenty of small, local villages filled with friendly locals, great food, and even better pubs. The people of Ireland really make the country; friendly and welcoming with a unique sense of humour that you can’t help but be entertained by. As a solo female traveller it’s somewhere where I feel safe, but it’s also perfect for couples and families. Ireland really has it all and I highly recommend it to anyone looking for a new travel adventure. Utah, specifically Southern Utah, is my favorite place to travel. I actually liked it so much I decided to spend two summers (so far) living and working there. It has so much to offer for outdoor lovers, which I definitely am, that it’s hard to see it all. No matter what you enjoy there is something for you. I absolutely love hiking there, exploring the national parks, boating around Lake Powell, climbing around Goblin Valley, camping in the San Rafael Swell, admiring the Henry Mountains up close and from afar, escaping the heat in the Dixie National Forest, I think you get the picture. It’s the perfect place for a Great American Road Trip or as part of one allover the Southwest. Plus, nothing beats a good desert thunderstorm. As a sucker for beautiful views and slurp-worthy pasta, my favorite place in the world is Italy’s Cinque Terre, a group of five villages perched perfectly along the Ligurian coast. You’ll struggle to find a place more picturesque than this, and you’ll dine like an absolute king every day. Combining a small town quaintness with epic seafood, hikes and plenty of opportunities to swim/sunbathe, Cinque Terre to me is the definition of perfection. PS: Don’t miss a meal at Manarola’s Trattoria dal Billy – they give you (unlimited) limoncello and grappa on the house, a very dangerous act of hospitality that may or may not result in skinny dipping…. Don’t be surprised if you’re at Machu Picchu cursing everyone and their mother for the crowds while simultaneously dying from altitude sickness. But there’s no other way to explain it and Peru besides, magical as hell. Every place you travel to leaves an impression but Peru is one that will forever stir up all of the feels. The locals hospitality, ever-changing geography, Incan villages and eating guinea pig (it’s normal that your mind wonders if you pet him earlier in the day), will ensure a unique cultural experience. Are you even surprised that my favorite place in the world is Iceland?! This country stole my heart from the first moment I laid eyes on it. 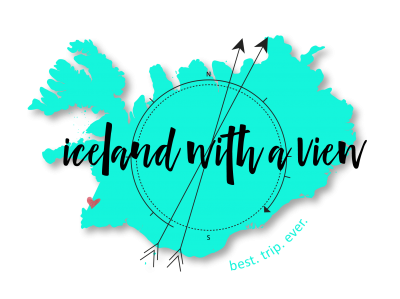 Glaciers, volcanoes, waterfalls, mountains, and beaches…Iceland has everything that my little adventure heart desires! But it wasn’t just the scenery that I loved – it was all of the little pieces that make this country so unique. The people, the food, the way of life. Iceland just has a feel to it, and anyone who’s been here knows what I mean. Iceland is the first place my husband and I traveled to that we wanted to return to – we were talking about during our first trip! I felt a deep connection that is hard to put into words. I fell in love with everything that makes up this magical Island. To this day I’m so thankful to call Iceland my home! Question: What’s your favorite place on this beautiful Earth? Tell me in the comments below! This is such a great post! It’s really cool that everyone has such different and unique favourite places. Mine is by far London, England! My heart is just so happy every time I’m there! I love this post! It’s so cool to find out people who travel often, what their favorite places were! My favorite place I’ve been so far is definitely Bali! I had an absolutely amazing time and can’t wait to go back! Great post! I love finding out about other travel bloggers — everyone’s so different in perspective! One thing that always strikes me is how everyone has their own preferences. I may land up raving about place X while at that very moment there will be someone who is cursing it. I guess it all boils down to who we are, what we love and the experience we have. Great point Penny! I know everyone’s experiences differ, I had a bad time in Paris but most people love that city! Aww. No one mentioned the Isle of Skye, or even Scotland. But I certainly can’t complain about the locations on this list! I still have to take a proper trip to Scotland actually! My husband is a huge Scotch lover, so I’m sure we will be there soon! The Cliffs of Moher in Ireland are incredible! Ireland has the most photogenic places. I really enjoyed this article and will definitely be saving! Thank you so much for including me! I love hearing about other people’s favourite places to travel. I definitely agree with, Hannah, Ireland is a beautiful and wonderful place. It’s my Mum’s favourite place, she always says it feels like home to her. Happy to have you Rosie! I love reading everyone’s favorite place. Such a fun way to relive old travel memories or get some new inspiration! 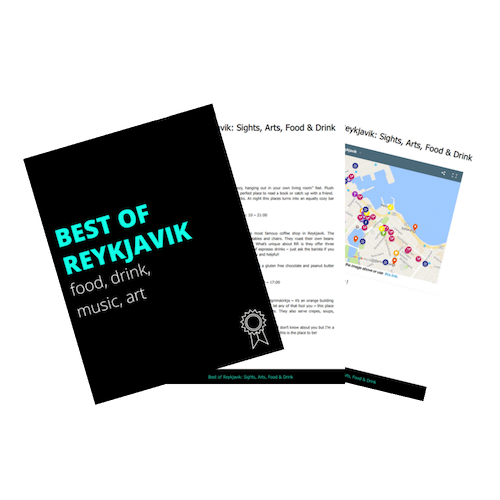 Awesome list- I love a bunch of these places and the others have just added my inspiration travel list! Thanks for sharing your favorite place, Hannah! I can only agree with Cynthia and Hannah! I absolutely love Berlin and can totally picture myself living there one day, and after my first visit to Ireland last year, I’m totally hooked and would love to explore more of the country! Oh and Iceland is always on my radar anyway!! 😉 Thanks for having me!! Thanks so much for including me on this awesome list! So many beautiful places, and so many new ones to add to my list! I loved this write-up and it brought me back to my Peru travels. I enjoyed reading everyone’s favorite place on this planet. Thank you so much for including me! Yay, happy to have you Amy – thanks for contributing!